Experts in design, manufacture, maintenance and installation of innovative branding technologies, including Signs, Vinyl and Digital Displays. We are ready to support your brand. 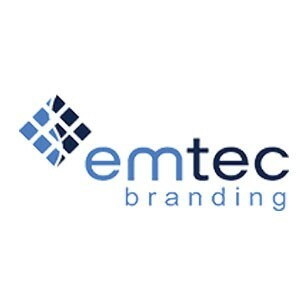 Emtec Branding offer complete turnkey solutions to suit your requirements. As part of the Emtec Group, Emtec Branding boast a dedicated design and manufacturing facility based in the outskirts of Glasgow. Emtec Branding understand the importance of your brand and we ensure that the signage we manufacture is built to be creative, eye-catching, meaningful and an accurate representation of your brand. Design – Our design department uses only the latest in design software, ensuring Emtec Branding has the skills to lead the industry. No matter the complexity of the scope, we will meet the challenge. Project Delivery – Emtec Branding are completely flexible when it comes to installation of your freshly branded products, offering a full installation service or supply only. Your products are tracked through each stage of production, allowing you to keep up to date with your project. Our dedicated supply chain and partners ensure that we can deliver every project in a timely manner. Aftercare and Maintenance – After installation, our services don’t stop. We offer maintenance packages on our installed products across the United Kingdom and Northern Ireland. With crews available nationwide, there is no job too big or too far for the Emtec team.